Four persons were ordained elders and received into full connection with the conference. They are Edith DeVilbiss-Finch, Drew Sutton, Kathy Wafer and Johnny Hankins. Cathy Brewton, in white robe, was ordained deacon and received into full connection with the conference. Ordained as elders and received into full connection with the conference were Edith Louise DeVilbiss-Finch, John Garrison Hankins, Andrew David Sutton and Kathy Snare Wafer. Cathalyn Hildebrand Brewton was ordained deacon and received into full connection with the conference. 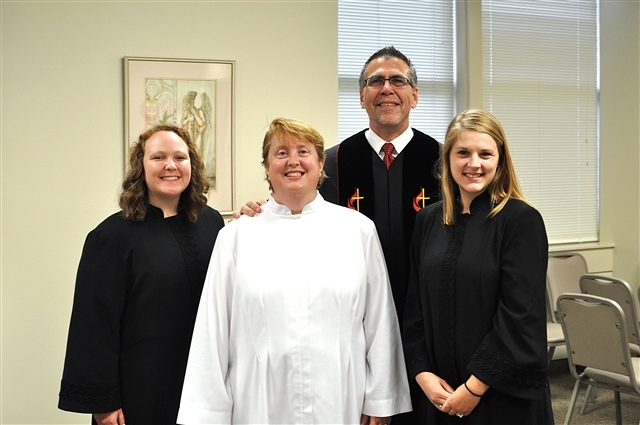 Theodore Stanley Fine, Rachel McConnell-Switzer and AnnaKate Rawles were commissioned as provisional elders. Mary Nannette McMullen was commissioned as a provisional deacon. 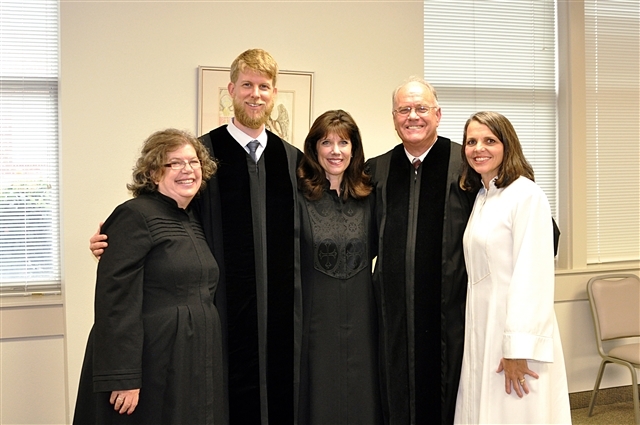 Rachel McConnell-Switzer, Theodore Stanley Fine and AnnaKate Rawles were commissioned as provisional elders. Mary Nannette McMullen, in white robe, was commissioned as a provisional deacon. Follow the coverage of the 2014 Louisiana Annual Conference on the conference website and conference Facebook page.